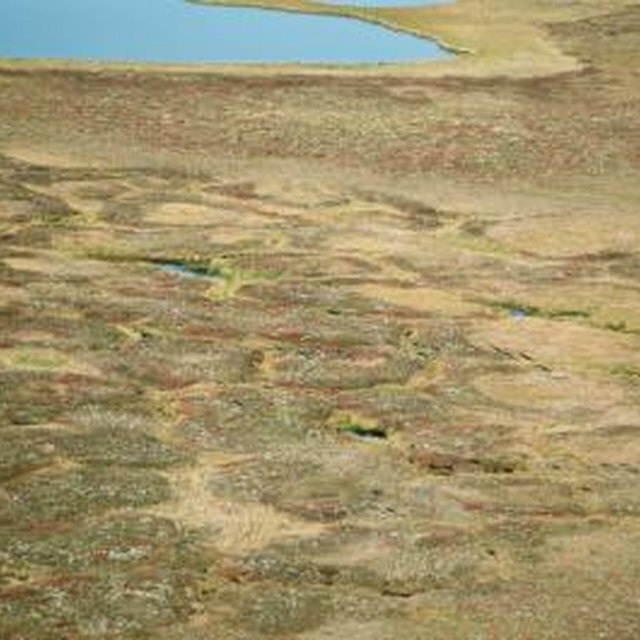 At a mere 10,000 years old, tundra is the world's youngest biome, or ecosystem. Low temperatures, short growing seasons, and permafrost inhibit tree growth. The bare, rocky ground supports only mosses, heaths, and lichen. Tundra comes in three varieties: Arctic, Antarctic, and alpine (which occurs around the world at high enough elevations). 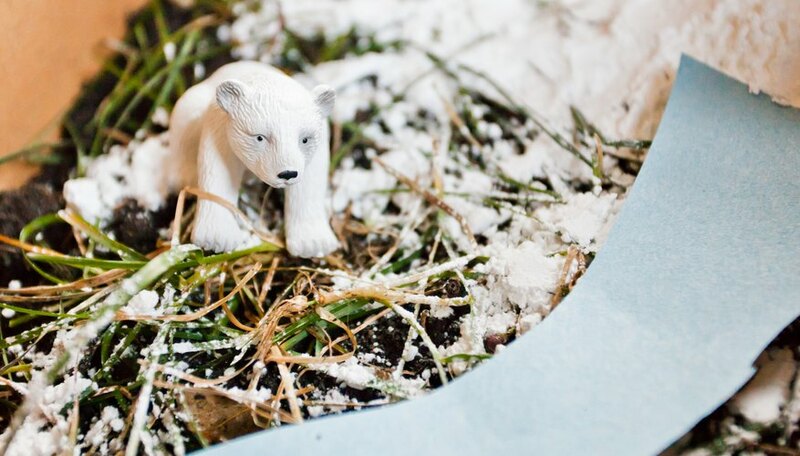 You can use simple materials to recreate the frozen majesty of the tundra in a shoebox. Prepare your shoebox by cutting away one of the shorter sides. Cover the opening tightly with plastic wrap and tape it in place. This will allow viewers to see the layers of soil in the tundra, which is important because in the tundra the lowest layer of soil (known as permafrost) remains frozen throughout the year. 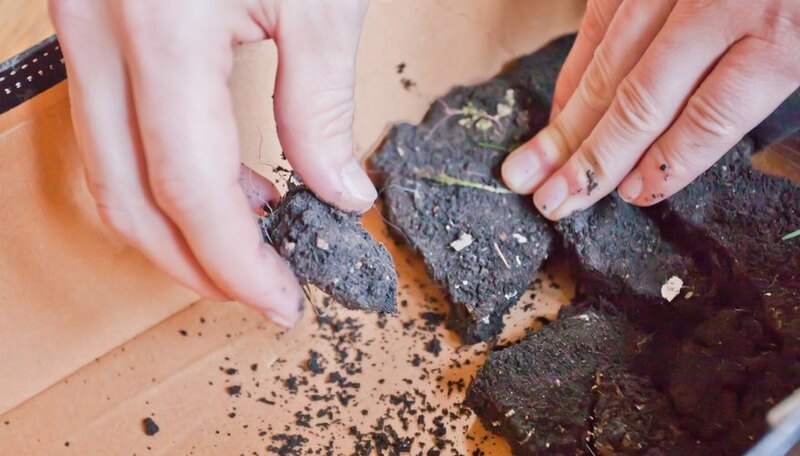 Fill the bottom of the shoebox with tightly packed dirt. Then add another, looser layer of very thin dirt. 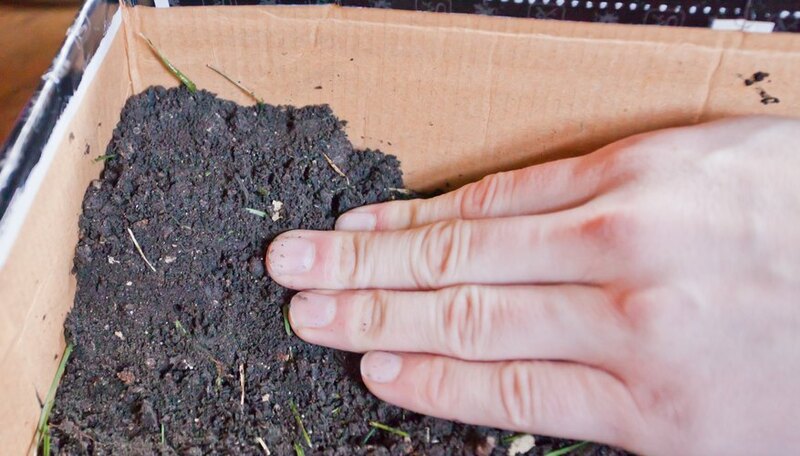 Build a small mountain of dirt in one corner of the shoebox. 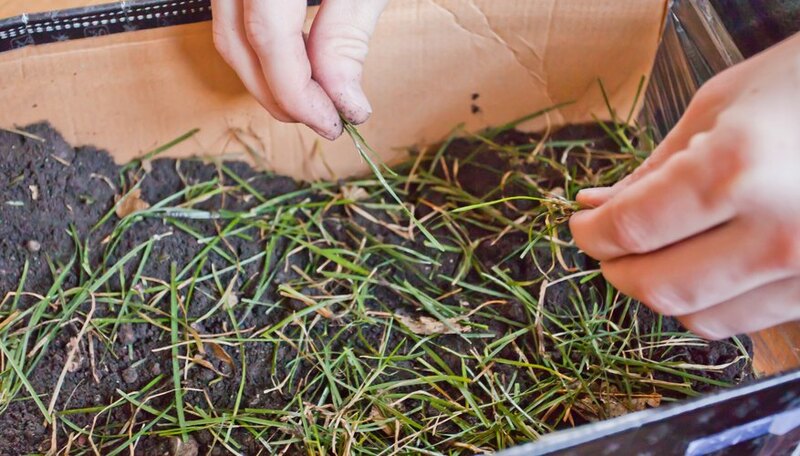 Cover the top of all the dirt with short pieces of green grass. 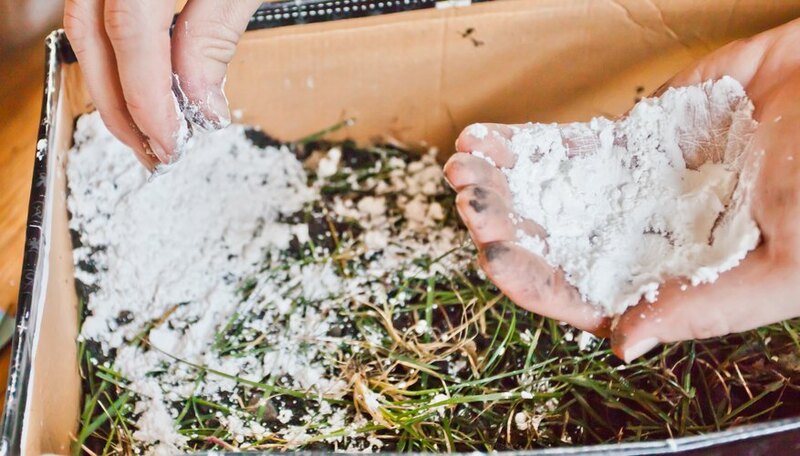 Coat the mountain and the surrounding area with powdered sugar, which represents snow. If desired, sprinkle some over the remaining grass. Cut a small, winding strip from a sheet of blue construction paper. Fit this paper in the shoebox so that it stretches from the powdered sugar snow to the opposite side of the shoebox. Add plastic animal figures in places. Tundra animals include caribou, reindeer, wolves, polar bears, oxen, ermine, tundra swans, ptarmigan, and snowy owls. For a more elaborate project, stretch a thin section of pipe across the inside of the shoebox. It can be placed directly on the ground or supported on beams. This pipe represents the oil and gas pipelines that stretches across most of Alaska’s tundra. Use this to introduce the environmental concerns posed by pipelines. Add a written report or PowerPoint presentation to include more information about the tundra. Be sure to include information about the location, climate, landscape, ecosystems, and environmental threats. 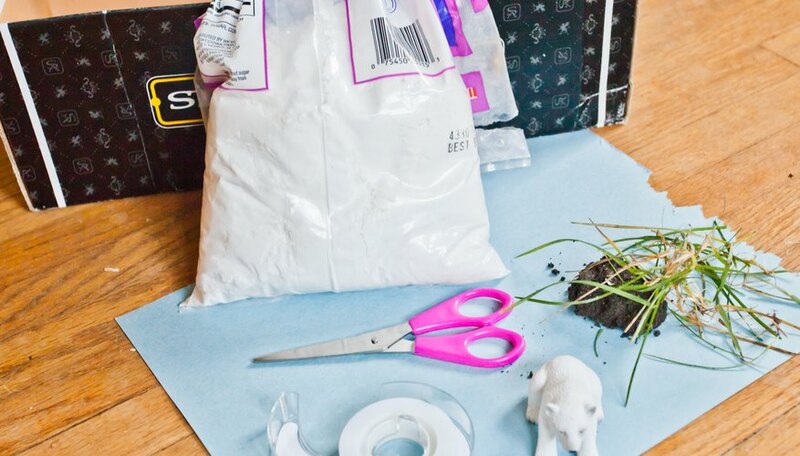 For an interesting twist on this project, create an edible tundra by using chocolate cake instead of dirt, and frosting instead of grass and construction paper. Thelin, Nicole. "How to Make a Tundra Project." Sciencing, https://sciencing.com/make-tundra-project-5650564.html. 24 April 2017.